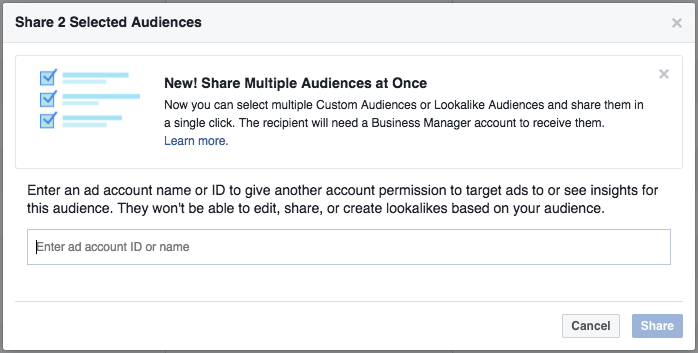 When you need to share a Facebook audience with another ad account, here's how to do it. Tick the audiences you wish to share. Select Share from the drop-down menu shown below. In the resulting pop-up, enter the ad account id that would like to share the audiences with. Click Share. Once you have completed sharing, the audiences will be available in the ad account that you shared with. They will then be able to target this audience with an ad campaign served from their ad account.